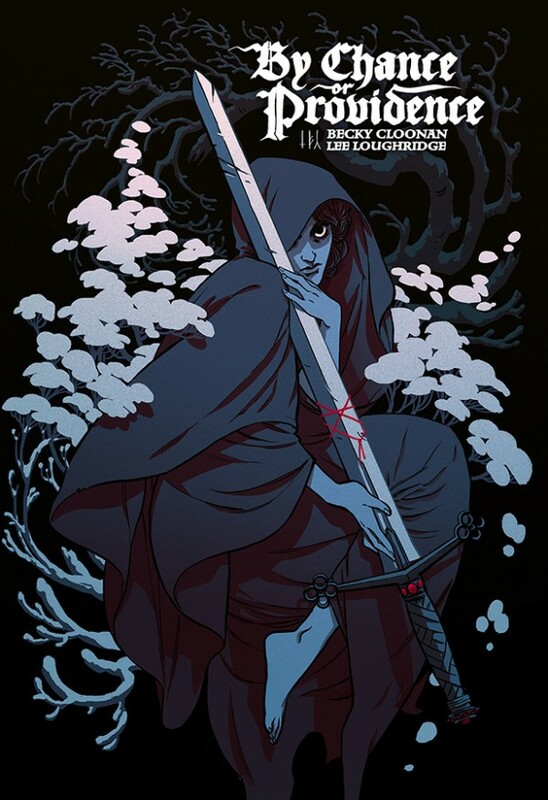 Image will collect Becky Cloonan’s ‘The Mire,” ‘Wolves’ and “Demeter’ into a trade paperback with colors by Lee Loughridge. Over the years Becky Cloonan has released a series of delightful minicomics, including Wolves, Demeter and The Mire. Following the release of a limited-edition hardcover collection back in 2014, Image Comics will now release a “director’s cut” trade paperback of the three minicomics. By Chance or Providence will include the three previously black and white minicomics, now with colors by Lee Loughridge, as well as a sketchbook/illustration section. By Chance or Providence arrives in comic shops July 26 and in bookstores on Aug. 1. Typo: “comic sops” last sentence. Also, very excited about this.